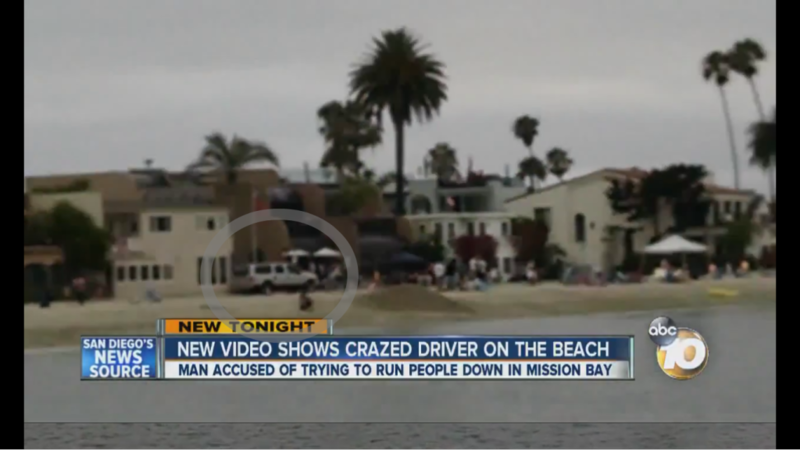 A motorist pleaded not guilty Tuesday for allegedly driving on the boardwalk and sand, injuring several people, after getting into a collision in Mission Beach on July 4. Villiami Pomale, 45, who had been free on $30,000 bail, had that raised to $100,000 and was taken back into custody. He faces multiple charges, including assault with a deadly weapon and felony DUI causing injury. Deputy District Karra Reedy told Judge David Szumowski that Pomale allegedly clipped a skateboarder and may have hit a pole on Mission Boulevard about 6 p.m. on the Fourth of July. Witnesses confronted Pomale but he sped off onto the beach, running over a beachgoer’s towel and causing a number of people to jump out of the way, the prosecutor said. Pomale then allegedly hit a car and cursed at a passenger who got out of his vehicle, Reedy said. She said an off-duty police officer yelled at the parties to exchange information, but Pomale drove off and brushed against the officer, hitting his arm and causing him to drop his cell phone, the prosecutor alleged. There were more than 50 calls to 911 during the incident, Reedy said. Officers later caught up to Pomale and arrested him. Initial breathalyzer tests used to determine if a person is under the influence of alcohol were measured at 0.18 and 0.16 percent, Reedy said. She said blood-alcohol results were still pending. Reedy, arguing for the increase in bail, told the judge that Pomale lives in northern California and has a 1999 conviction for auto theft. Besides assault with a deadly weapon and felony DUI, Pomale is charged with misdemeanor DUI, misdemeanor hit-and-run and reckless driving. He faces six years and eight months in prison if convicted, Reedy said. A bail review was set for July 17.